When you are looking for a wealth of comfort set up in the form of cozy bungalows, then Froggies Divers is the perfect place for you. 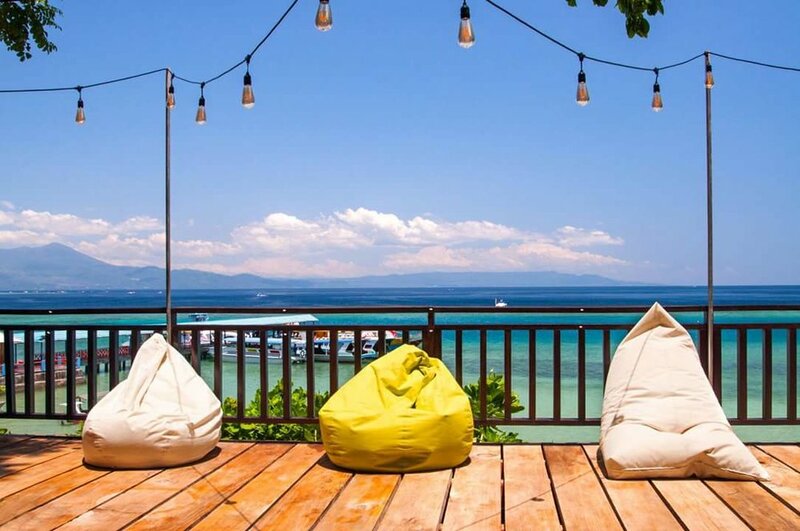 A small dive resort and PADI operation on Bunaken Island, Froggies Divers offers diving guests an incredible getaway. You can visit the resort through the virtual tour below. Two spacious bungalows with bedroom, living area with fan, air-conditioning and safety box. Large Bali style bathroom and a veranda with sea-view. Perfect for a couple or two friends. Eight Bungalows without a living-room but with a small corner settee, with fan, air-conditioning and safety box, Bali style bathrooms and verandas with beach and sea view. Four recently built bungalows are located on top of the hill. Three, slightly smaller are by the beach and the last one, a bit larger is in the middle. Three small Bungalows with fan only, safety box, a small Bali-style bathroom and a veranda with sea-view. Ideal for travelers with a tighter budget. Meals are a great opportunity to meet other visitors from around the world who share a common passion for diving and the sea. • Wi-Fi Internet is included free of charge in the restaurant area. • Each of our bungalows comes equipped with a western style toilet, shower and hot water. • Superior and Standard bungalows come equipped with air conditioning for your comfort. Established in 1991, the Bunaken national park covers close to 900 km2. It is home to hundreds of species of coral and thousands of species of fishes, nudibranchs and crustaceans. At Froggies Divers, we want to make sure you experience this amazing national park at its best by offering dives that allow you to truly enjoy all of the underwater riches to be found. Long, slow relaxed dives are the best possible way to take in all of the beauty. The majority of the viewing takes place in the first 20m and above and we take care in offering our divers long safety stops where you can enjoy the upper portion of the reef. Dive time is only limited by individual air consumption. Most of our divers stay underwater for more than an hour to enjoy Bunaken’s marine life which includes turtles, napoleons, big jacks, sharks and of course thousands of amazing reef fishes. It is also no secret that this corner of the globe is well known for being a macro paradise! SAFETY – Of course, your safety and comfort are our main priorities. We always take care to match your level of experience with that of the other guests in your group. Each and every one of our dive boats is fully equipped with a first aid kit, emergency oxygen and life jackets. Our staff is regularly trained on the usage of this equipment. All our guides use a DSMB to indicate our position to marine traffic prior to ascending with the group. GEAR – Never worry if you do not have all of the gear that you need. For the convenience of our guests, we offer first class rental equipment that is regularly maintained and inspected. MUCK DIVING – Although the standard dive sites of the park offer plenty of diversity, we do offer the possibility to organize an occasional day trip to the coast of North Sulawesi to experience some Muck diving, in search of some special creatures living in this environment. TREASURES ABOUND – The entire area of Bunaken is just overflowing with amazing small treasures such as stunning drop-offs that are filled with macro secrets. 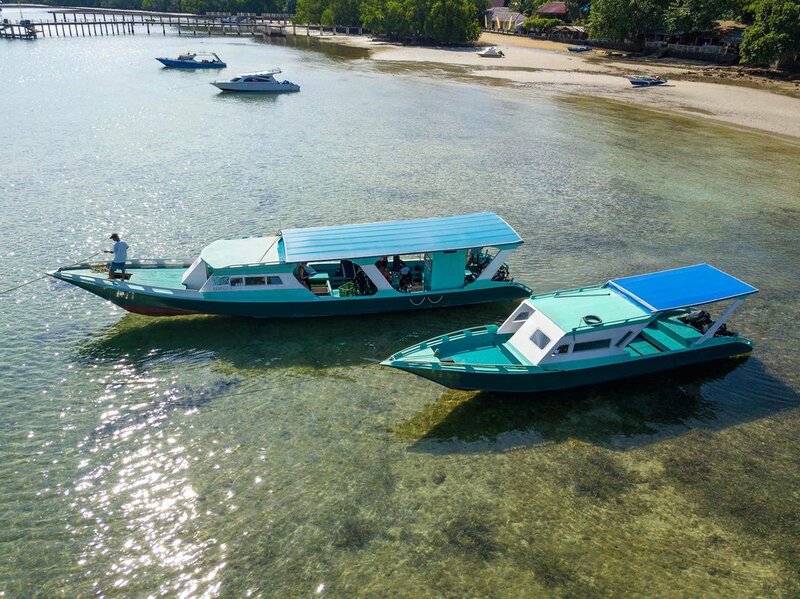 Although the first two courses are the ones most of our guests wish, we have the possibility to teach the whole range of PADI courses, up to Divemaster. A number of specialties, such as Enriched Air diver are also available. If interested, please, ask our office at the time of booking. Please, note that not all specialties and courses are available without prior notification.